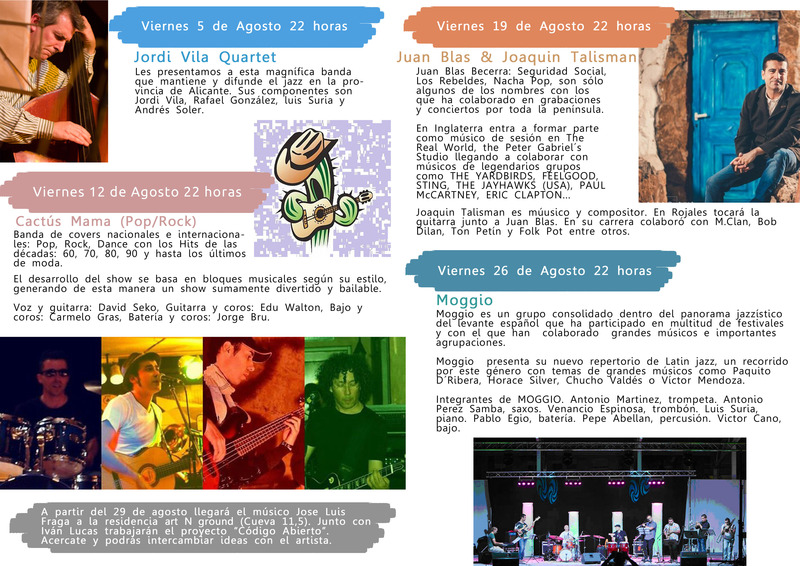 Friday of the month continue with an interesting musical proposal that will start from 22:00 h on the square in front of the cave B.art with Jordi Vila Quartet (Jazz), followed by Cactus Mama (Pop-Rock), Juan Blas & Joaquin Talisman (Blues-Rock) to end the Moggio group (Jazz). On Saturday August 6 from 19:00 you can enjoy the meeting of art and craft in Cuevas del Rodeo enjoying an afternoon open with the participation of resident artist art n ground, Omar Lopez who will be working during the meeting. You can also enjoy a guided tour with the artist Aurora Alcaide in the Mengolero exibition hall from 20:00. The caves open until midnight also have the presence of other guests artisans together the concert of the singer Manu Lia, starting at 22:00 pm in the plaza entrance to the exhibition hall. The film series titled human? continued Thursday nights from 21:30 pm in the outdoor plaza next to the B.art cave. 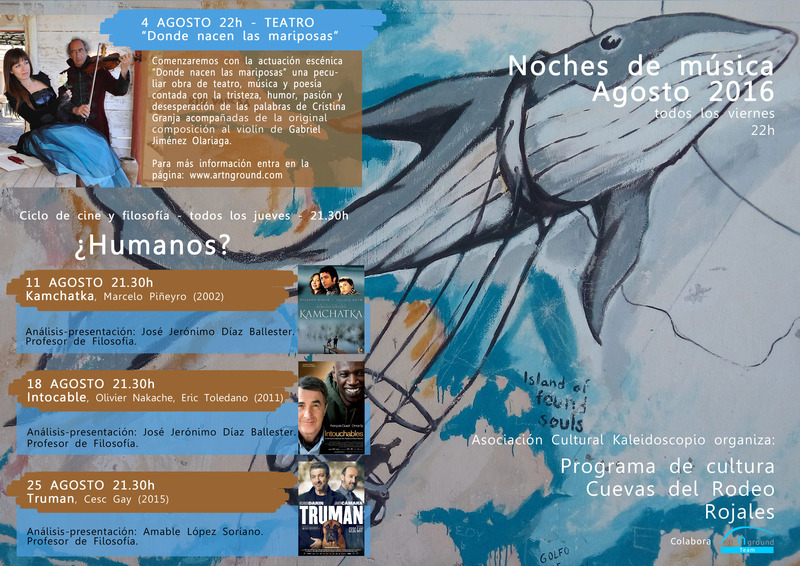 The films to be screened are Kamchatka (Marcelo Piñeyro), Intocable (Olivier Nakache, Eric Toledano) and Truman (Cesc Gay). Presentations-analysis shall be borne by Jerome Diaz and Amable Lopez, two professors of philosophy. We wait for you!! !